This morning as I was reading the first three chapters of Job, my heart sympathized with Job and all that he endured. While I’ve never suffered in the exact same way as Job, I have had enough sorrow to be able to relate to him. Especially when the heartaches stack upon each other and we can’t seem to catch our breath from one trial until another one comes. The one thing that he said, which really resonated with me was in these verses. Do I really want to be the kind of person who only praises God when things are good in my life? 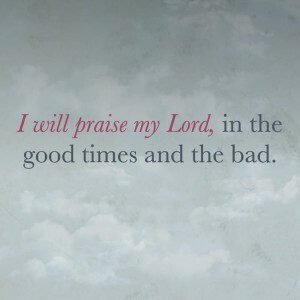 Or do I want to be the kind of person who praises God during the good times and bad? Sometimes God has a hedge around us—protecting us from all pain. And sometimes He also allows us to experience some pain so that we can grow in Him. We can’t get stronger and grow as long as everything is going great in our lives. It takes the pain for us to truly seek Him in our hearts. So often we want our way. We want things to be as we want them to be. But sometimes, God has a different way—an even better way. When we can surrender it all to Him and trust Him to take care of us, then we can praise Him through the storms. Walking through the valleys and lying in the trenches is where I have truly discovered God’s love for me. I remember one night, after my surgery, being in so much pain that I couldn’t sleep. It felt unbearable to me. Then, I felt God. He wrapped me in His arms and I drifted off to sleep. He didn’t prevent me from being in pain, but He helped me to endure it. Therefore, I want to praise Him always. 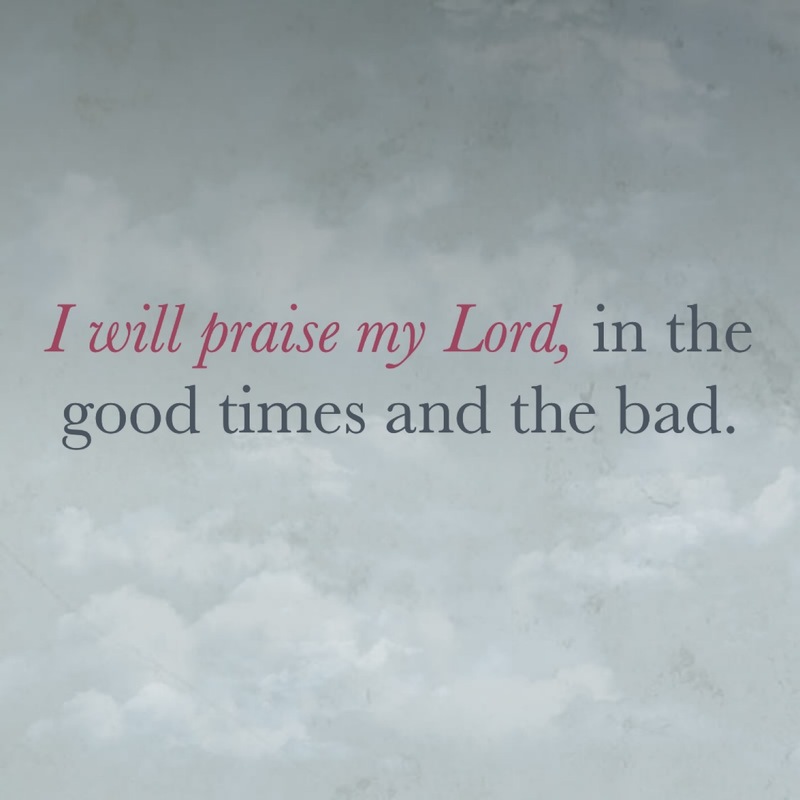 When my heart is overcome with joy and it is overcome with sorrow, either way, I will praise Him.